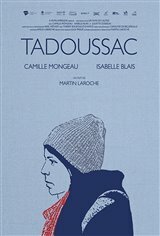 Feeling the need to take stock of her life, Chloe leaves her apartment, her boyfriend and Montreal to travel to Tadoussac, a village in the Haute-Côte-Nord. She registers under the name of Fanny Roy at the youth hostel, before looking for her biological mother, Myriam Harvey, who abandoned Chloe at birth. Rather than confronting her mother, the girl takes advantage of her false identity to develop a friendship with her. But a health problem and Chloe's hospitalization forces her to reveal herself.